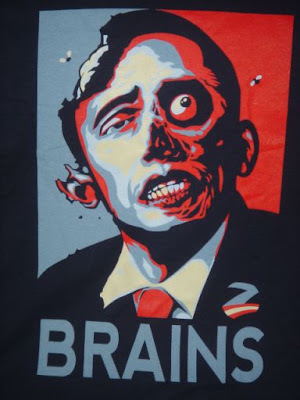 Quite coincidentally, my Zombie Obama t-shirt arrived from TeeFury yesterday. Now that's a shirt I can believe in. This weekend, I had a thought that no one else in human history has ever had: "I'm in the mood to watch Ghost Rider." This was at 1:30 am on Sunday. Needless to say, after getting a little sleep, the rest of the day was just as unproductive. 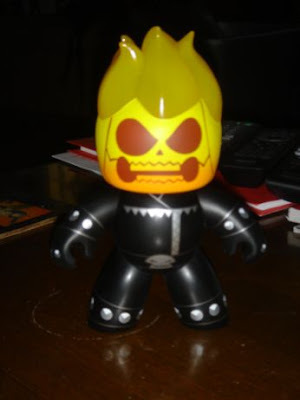 But while doing my grocery shopping that night, I was still on a Nic Cage so-bad-it's-good performance high (as well as feeling a bit nostalgic for my "Ghost Rider" comic collecting youth) and bought another defender for my cubicle. Good ol' Johnny Blaze joins the Hulk, Indiana Jones, Captain America, and the Punisher in keeping watch over my office supplies while I'm away from my desk. Now if you try to steal a Post-It note, you go to Hell. Guilty! 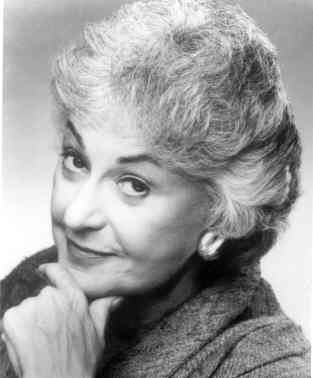 She may be more remembered for "Maude," but she'll always be a Golden Girl to me. Thank you for being a friend. And her unfortunate passing gives me an excuse to post a link to this video. Soylent green is made of horse urine! It's been a while since I last obsessed over an album, but Metric's latest offering Fantasies has pretty much consumed my music listening this week. It's got just about everything that I look for in an album to spend the summer with: a female singer with a nice voice, huge hooks, (mostly) upbeat tempos, and synths aplenty. I'm going to have to delve into their back catalog and soon. 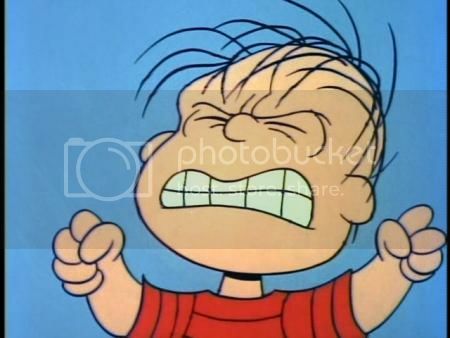 I wonder how many takes it took before they nailed this video (or maybe there was some editing trickery going on to make it seem like it was filmed in one take a la Hitchcock's Rope). Check out the hectic "making of" here. The band is offering a free download of an acoustic version of the album opener "Help I'm Alive" on their website. Get it. NOW! Duckpin bowling and world music and hipsters! Oh my! This weekend I went to a bowling alley to see some live music. What a country! Smack dab in the middle of the duckpin bowling lanes at Plaza Bowl is a stage that played host to World Fest on Saturday. Playing when I got there was the piano/cello and drums duo of Lauren Kendall and Blake Methena. I dug their stuff, especially their cover of Tool's "Sober." But instead of straight-up appreciating their music, I was still dwelling on the novelty of the venue and reciting Jim Gaffigan's bit about bowling in my head. Next up was the only band on the bill that I knew, Bio Ritmo Despite owning one of their older albums and having lived in Richmond (and the surrounding areas) for most of my life, I had never seen them live before and they did not disappoint. Loves me some salsa. Watching them begged the questions: Do they play weddings? And is there a woman out there who'd like to marry me? After them Chicha Libre took the stage and played their brand of psychedelic surf cumbia. Their take on Love's "Alone Again Or" was great. I'm going to have to check out their stuff sometime. Last up was Dengue Fever, who played an odd but winning combination of 60s surf rock and Cambodian pop. Yeah, I know, but it worked! As my brother said, any band that has a hot little Asian woman fronting it is great. In this case it wasn't just his usual Yellow Fever talking. As for Plaza Bowl itself, it is one of the most unique concert venues that I've ever been to. Blinking lights flank each lane and there are black lights aplenty above. It must be a bit odd for bands to have their music mix with the sound of pins being knocked over. The staff seemed to be evenly divided between those that you'd expect to see working at a bowling alley and your standard issue hipster. And if the world music wouldn't bring the hipster contingent out, the PBR on tap definitely would. Luckily, because of my beard and appropriately ironic t-shirt, I was able to walk amongst them unnoticed. All in all, it was a very fun night that exposed me to some new music. What more could you ask for? A special note to the Hipster Goddess that works there: kudos to you and your cleavage-enhancing ensemble. Wanna marry me? I think I can get Bio Ritmo to play our reception. Hey, I actually like that Sixpence None the Richer song! 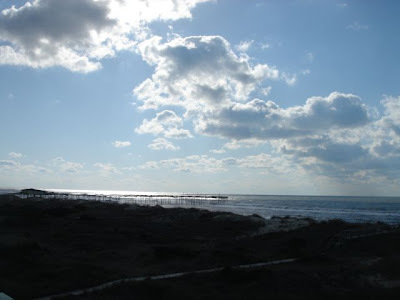 Inspiration has been lacking here since vacation, but I need to post something this week. How about "Shittiest Mixtape Boombox Blast" - a classic funny video by Aziz Ansari, lately of the promising "Parks and Recreation" (and the hilarious sketch comedy show "Human Giant")? Spring Break is over. I've got sand in my shoes serving as a cruel reminder that it's time to go back to work, bills, paying attention to current events, early bedtimes, 6:30 am clock radio alarms, 6 hours of unwatched television programs on my hard drive, and 2 days, 5 hours, 34 minutes, and 7 seconds worth of unlistened to podcasts on my iPod. And Snood previously replaced crack cocaine as our nation's most addictive drug. But Peggle is like crack on...crack. I downloaded the full version of the game for my Xbox 360 on a Saturday night. Then I stayed up until 4 am playing it. The other evening I started playing it and before I knew it an hour and 45 minutes flew by. But I can quit anytime. I swear. I'm not the one with a problem. YOU'RE the one with a problem.